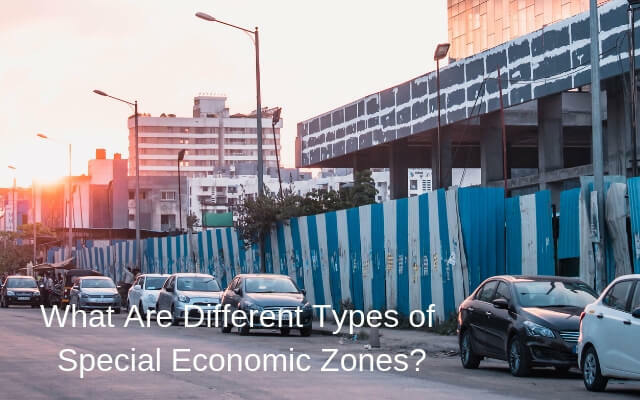 What Are Different Types of Special Economic Zones? In the field of industrial parks, professionals need to be familiar with the different types of special economic zones. Essentially, a special economic zone (SEZ) is an area in which business and trade laws are different from the rest of the country. SEZs are located within a country’s national borders, and their aims include increased investment, increased trade balance, effective administration, and to an extent, job creation. Usually, financial policies are introduced to encourage businesses to set up in a particular zone. These policies typically regard investment, trading, taxation, quotas, labor regulations, and customs. Another purpose of SEZs is to encourage direct investment by foreign investors. Basically, foreign investors are more likely to invest in an area if, of course, the conditions are favorable to their business. By creating SEZs where certain taxes are reduced, financial and perhaps environmental regulations are relaxed, governments are able to encourage swift economic growth. A free-trade zone (FTZ) is a geographic area where goods may be landed, manufactured, stored, handled, or reconfigured, and re-exported under definite customs guidelines and generally not subject to customs duty. Free-trade zones are denoted to as “foreign-trade zones” in the US. In other countries, they have been called duty free export processing zones, export free zones, export processing zones, free export zones, free zones, industrial free zones, and investment promotion zones. Free trade zones are generally organized around major seaports, international airports, and national frontiers which are mostly areas with many geographic advantages for trade. An export-processing zone (EPZ) is a precise type of FTZ, set up usually in developing countries by their governments to endorse industrial and commercial exports. It is an industrial estate, usually a fenced-in area of 10 to 300 hectares, that specializes in manufacturing for export. Its purposes are to entice foreign investors, collaborators, and purchasers who can ease entry into the world market for some of the economy’s industrial goods, thus producing employment and foreign exchange. It offers firms free trade conditions and a copious regulatory environment. Free economic zones (FEZ), free economic territories (FETs) or free zones (FZ) are terms used to designate areas in which companies are taxed very lightly or not at all to inspire economic activity. For instance, in the Philippines, we have Subic Bay Freeport Zone, which is the first Freeport in the Philippines, and Clark Freeport Zone. The taxation rules are determined by each country. An industrial park or industrial estate or trading estate is an area zoned and planned for the purpose of industrial development. An industrial park can be thought of as a more heavyweight version of a business park or office park, which has offices and light industry. They are usually located outside the main residential area of a city, and normally provided with good transportation access, including road and rail. Many small communities have established industrial parks with only access to a nearby highway and with only the basic utilities and roadways. However, to cite the best example of an industrial park, you may check out our industrial parks here at SPPI. Bonded logistics parks cater to trade arrangements that are similar to that of a bonded warehouse but over a specific geographic area, sometimes with international port capabilities. BLPs are designed to improve the environment for both foreign-invested and domestic enterprises, and encourage the development of resident regional economies by offering more effectual logistics and ocean freight services. Finally, we have Urban Enterprise Zones. They are areas in which policies to inspire economic growth and expansion are realized. They are a type of special economic zone where companies can locate free of particular local, state, and federal taxes and restrictions. Urban enterprise zones are envisioned to reassure development in deprived neighborhoods through tax and regulatory respite to entrepreneurs and investors who launch businesses in the area.